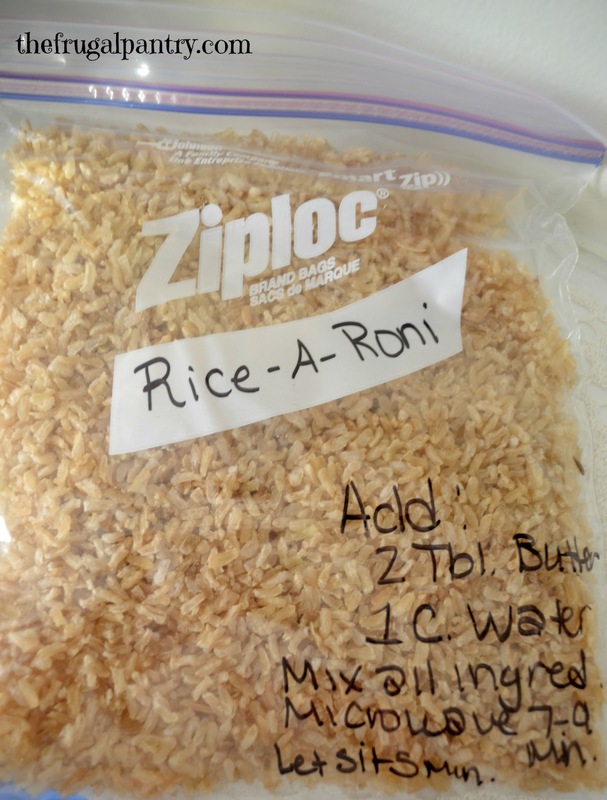 In 10 minutes and just a few ingredients that you already have in your pantry, you can put together several of these Rice-A-Roni packets. You will save oodles of money, since you don't have to go out and buy any ingredients! 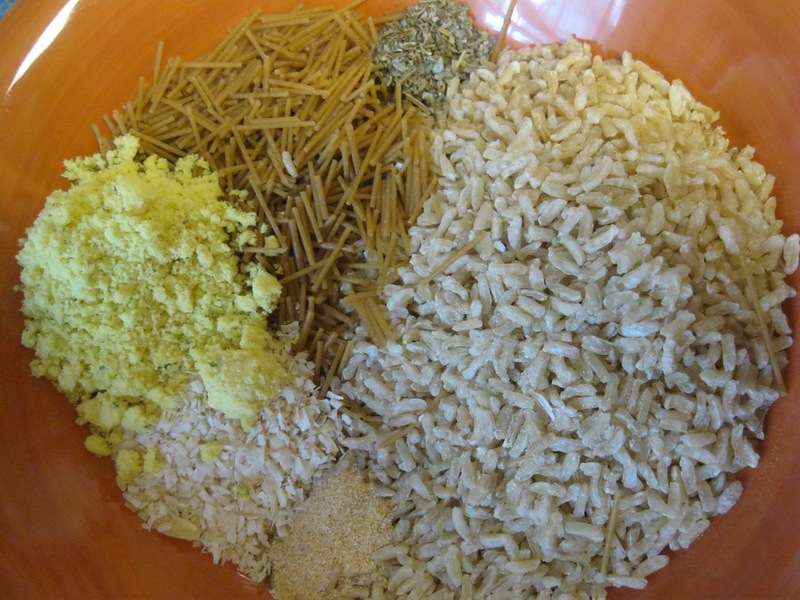 Plus you can control the ingredients: White or brown rice, regular or whole wheat pasta, as well as use low sodium Chicken Bouillon and there is almost no salt! No msg either. I used whole wheat angel hair pasta and quick cooking brown rice, but you can use any kind of rice you have on hand (just adjust the water & cooking time). Mix all ingredients in a bowl. Label a ziplock storage bag and attach cooking directions (listed below). 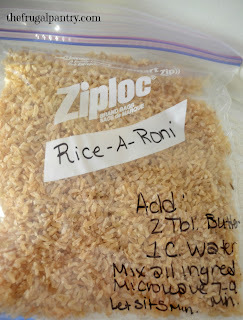 Pour Rice-a-roni mix into bag and seal. Store in pantry. Jan's tip: Note: the amount of water & cooking time is different in the recipes below for regular and instant rice. Heat to boiling. Put lid on pan and reduce heat to simmer. Let simmer 20 minutes for white rice and up to 45 minutes for brown. Serve hot. Microwave rice mix, water and margarine in microwave safe bowl for 5 minutes on high(until boiling) reduce power to 50% (power level 5) power and microwave 15 minutes for white/20 minutes for brown, or until water is absorbed. Let sit 5 minutes. serve hot. Heat to boiling. Put lid on pan and reduce heat to simmer. Let simmer 5 minutes Let sit for 5 minutes. Serve hot. In Microwave save bowl, mix together 2 Tablespoons margarine, 1 cup water and rice a roni mix. lightly cover bowl and microwave on high for 7-9 minutes. Do not remove lid. Let stand 5 minutes. Fluff with a fork, and serve hot.